MoistCatch is an ultra-modern moisture scavenging film that was developed to evenly disperse high-density moisture absorbers within a package. 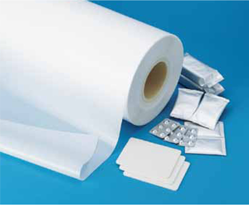 The film is flexible and can perfectly take the form of any packaging, allowing it to be used in a particularly wide range of packaging applications. Since the film itself acts as a moisture absorbent, the need for desiccant bags is completely eliminated. This results in cheaper and safer packaging that requires fewer manufacturing steps and less labor to produce. MoistCatch can also be laminated with a number of materials used in multilayer packaging. For example, it can be laminated with aluminum to create an effective packaging barrier. 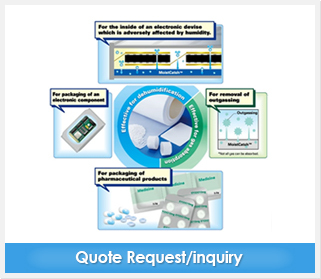 Ideal for moisture scavenging and perfect as an outgassing solution to airtight packages, MoistCatch is an ultra-efficient packaging material for electronic components, pharmaceuticals, medical tools, and any other moisture-sensitive products. Sample multilayer film structure using MoistCatch: PET/AL/Moisture absorbing layer/Sealant layer. Film structure and thickness of layers can be customized upon request to accommodate any packaging needs.